This Guy Tried To Scam Someone Via Text Message.... The Response Was EPIC! Have you ever been solicited via text message? If so, you know how annoying it can be. 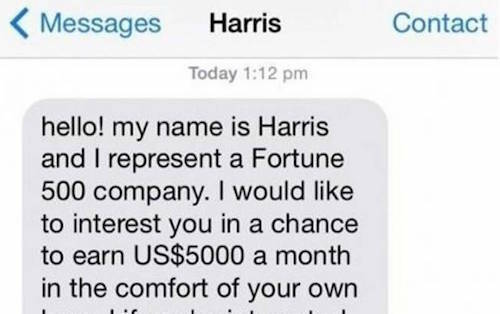 See how this guy reacted when he had someone offering him $5,000 per month via text!